“Workflows & Business Process Automation” forms the second pillar of our unique NITRO™ application service layer. With NITRO™ as the foundation of all our applications and custom development projects, we are able to provide highly capable, full-featured applications for SharePoint or Office 365 as well as quick development and deployment, with lower costs. Workflows and Business Process Automation are the heart of any application. They are what streamline the work and power up efficiency and productivity. WORKFLOW MANAGER: A powerful tool used to build and tune workflows to meet just about any business need. 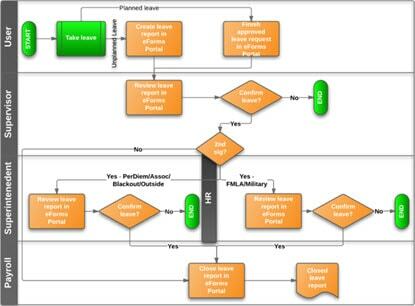 Do you need to route a request based on certain conditions? Do you need to manage a set of tasks that depend on each other, such as in Onboarding or Purchasing? What about managing IT Tickets, Hardware Requests, Change Requests, and more? The Workflow Manager is an easily configurable tool that allows you to set up simple or complex condition-based workflows — without any coding! ALERTS/NOTIFICATIONS: Everyone wants to know what’s going on. Keep all parties informed automatically with built-in alerting and notification tools. The alerts can be triggered on just about any event, action, and condition, as well as on a time-basis. The alerting tools give you a high degree of control of who gets alerted on what and when. APPROVALS: Many requests require approval, and these approvals can be based on any number of factors — what is requested, who is requesting, cost, department, location, etc. The request may require multiple approvals, whether in series or parallel. With the approval tools, the approval process is automated and tracked so that the request is managed and resolved quickly and without fuss. AUTOMATION AND ROUTING: Workflow Manager, Alerts, Approvals — these are work together to automate ticket and issue routing. Items can be auto-assigned, escalated, re-assigned, updated, marked complete, and more, streamlining operations and keeping requests moving to completion as smoothly and quickly as possible. Not only Help Desk, but also asset management, equipment tracking, purchasing, onboarding, access requests, contract renewals — all these and more benefit from the automation and routing built into our NITRO™ application service layer. LINKED ITEMS: “The legbone is connected to the hipbone” — just like in the body, things are linked together in our applications. That means a ticket could be about a printer, computer, or other asset; a ticket could have sub-tasks; a purchasing request has multiple line items; etc. The capability to link related items together brings a coherence to the workflows and processes. You need to know what is linked to what else and how things are related for faster and more complete processing and resolution. RECURRING TICKETS / WORK ORDERS: Periodic support tasks can be auto-generated and assigned. Regular maintenance events can be created, helping to keep assets and equipment in top working order. Repeat purchases can be automated, whether for re-stocking inventory or regular supplies. The ability to automatically generate recurring tasks or work orders keeps operations running smoothly. EMAIL INTEGRATION: Our applications are in SharePoint (whether on-premises or in Office 365), but email (especially Outlook) is a critical component and a strong player in the business process world. We employ email converters, parsers, and processors as well as generate emails from within SharePoint. We track the Email History of items to give a complete view of email interactions associated with any ticket, request, asset, contract, document, or other item in SharePoint. DATABASE CONNECTIONS: More and more, SharePoint applications are a central hub that pulls in information from other databases to give staff a full picture of the incident, request, or issue. That means interactions such as pulling user info from Active Directory, working with employee/HR databases, synchronizing with network discovery tools, reading membership databases, pushing info to financial systems, interacting with ERP systems, and more. Business processes don’t necessarily stop at the SharePoint border and our tools can manage data and information going back and forth between SharePoint/Office 365 and line-of-business systems and databases. What are you waiting for? Power up SharePoint and Office 365 with applications people will actually use and that solve real business problems. Give us a call at 1-925-478-3110 or request a demo for more information!